Keep Me Entertained Q&A + 2019 Books On My Wish List! It’s time for the first TBB Asks of 2019, courtesy of The Blended Blog. Today, the theme is Keep Me Entertained, which has me super excited! Favorite book/author of all time? The books would be the same as above, and author wise, J.K. Rowling because I love all her books – not just Harry Potter. Favorite TV show to binge? I’m not a great binge watcher, but I can happily re-watch episodes of Psych. Favorite new-ish TV show? A Million Little Things. It’s so good! Plus, it stars James Roday, who was in Psych. Favorite movie of all time? One of them would be Life as a House. Movie you are looking forward to watching? I’m excited to see the live-action Aladdin. It’s one of my favorite cartoons. First concert you attended? Nsync – they were my second concert too! Ultimate concert (even if it can’t happen)? Ooh this is a tough one! Seeing all the original Beatles would be amazing, for one that can’t happen. I’d love to see Panic! at the Disco play with Ryan Ross again, so who knows, maybe one day! Favorite music artist/band? I love so many musicians/bands so it’s really tough to pick a favorite. How do you listen? (streaming? CDs? Vinyl?) I have an iPod and I still buy and listen to CDs as well. I got a record player last year and I have some albums on Vinyl now, so I need to get that all hooked up! Tell me- how do you keep yourself entertained? Do we have any answers in common? 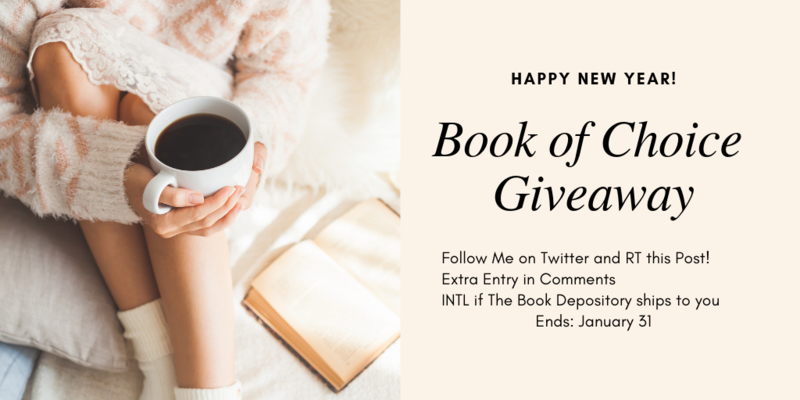 While I have your attention (and since this post is full of book love), I wanted to let you know that I’m hosting a giveaway on Twitter for a Book of your Choice (not to exceed $15). If The Book Depository ships to you, you can enter. The giveaway ends on January 31. All you have to do is follow me on Twitter and RT my pinned post (there’s an extra entry option in the comments of that tweet so just scroll down a tad). You can find the book giveaway on Twitter now! Time for another Top Ten Tuesday, hosted by Jana at That Artsy Reader Girl. 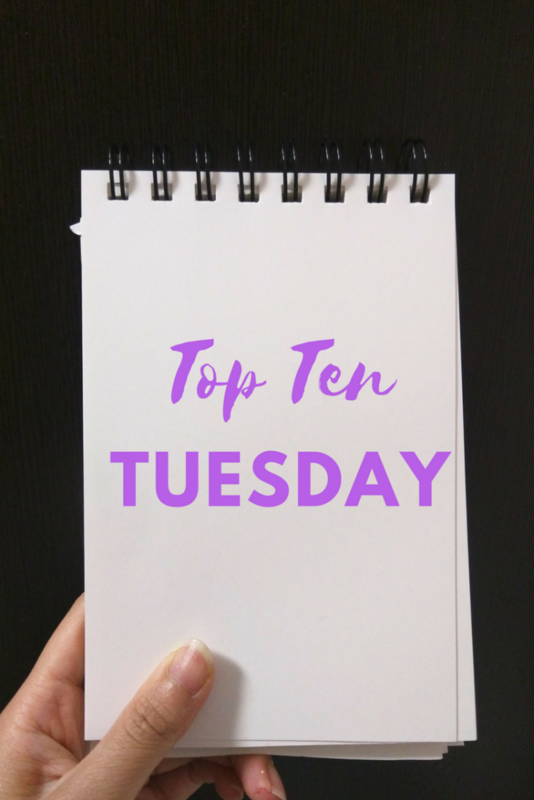 I’m posting a book review tomorrow as part of a blog tour, so I’m sharing my Top Ten Tuesday today. I’m counting January-June as the first half of the year, so these 2019 book releases all come out in that time period! Are any of my 2019 book releases on your list? Or did you find something new to add? All the above 2019 book releases are listed in the order they come out starting on January 29 and ending on May 28. What 2019 book releases are you excited about for the first half of the year? Share your post and/or leave a comment! I’d love to know which books I still need to add to my wish list. I LOVE Psych!! My mom and I used to watch it together all the time!! 🙂 I need to binge that series again soon!! I loved reading your list! I always have such a difficult time answering these kind of questions because I have too many favorites! You always keep me up to date with what is coming out for us to read and watch. I am heading to the library this morning to get more new books. I have never read any of the Harry Potter books and my friends get on me about it. One day, I will read them. haha I say that all the time. I’ve never heard of Life of House. I’ll have to look it up. I still buy and listen to CDs too! I actually have a collection of them. I love The Perks Of Being a Wallflower. So good! We actually did a marathon watching of Harry Potter over the holidays. I put The Beatles, too for a concert I’d love to see (IF it was possible). I am excited to see Aladdin, too. yup I have reread HP many times and I could reread The Perks of Being a Wallflower many times too! YES! to J.K. Rowling! That’s a fun little survey 🙂 I might have to jump in on that. My first concert was Fallout Boy! lol. And I’ve seen them four times total now! So fun to read your answers! I totally agree about Psych – we’ve watched it all the way through like 4-5 times. I love me some Psych too and I’ve been loving A Million Little Things so far! Gary is so different from Shawn, but it just shows what an amazing actor James Roday is! I love that your first concert was NSync, that is so cool! I’m excited for the new Aladdin movie too. There are a lot of good ones coming out this summer! I just love A Million Little things but have not seen Psych yet. NSync was my first one too, and I love A Million Little Things! Panic! At the Disco was one of my favorite shows- I hope you get to see them. I’ve never read The Perks of Being a Wallflower, but it’s on my TBR, along with The Boy Who Steals Houses. I’m going to have to check out the other new releases you mentioned. Hope you’re having a great Monday! Wow, seeing the Beatles (were it possible) would be epic. I did see Paul McCartney in concert a couple years ago and that was simply amazing. I watched a few of the Harry Potter movies, but can you believe I’ve never read the books? NSync! Too fun. The Raven’s Tale (from you TTT) looks interesting. I’ll be on the look out for your thoughts. I’ve seen A Million Little Things on a few people’s lists today. I’ll going to have to investigate that one a bit. 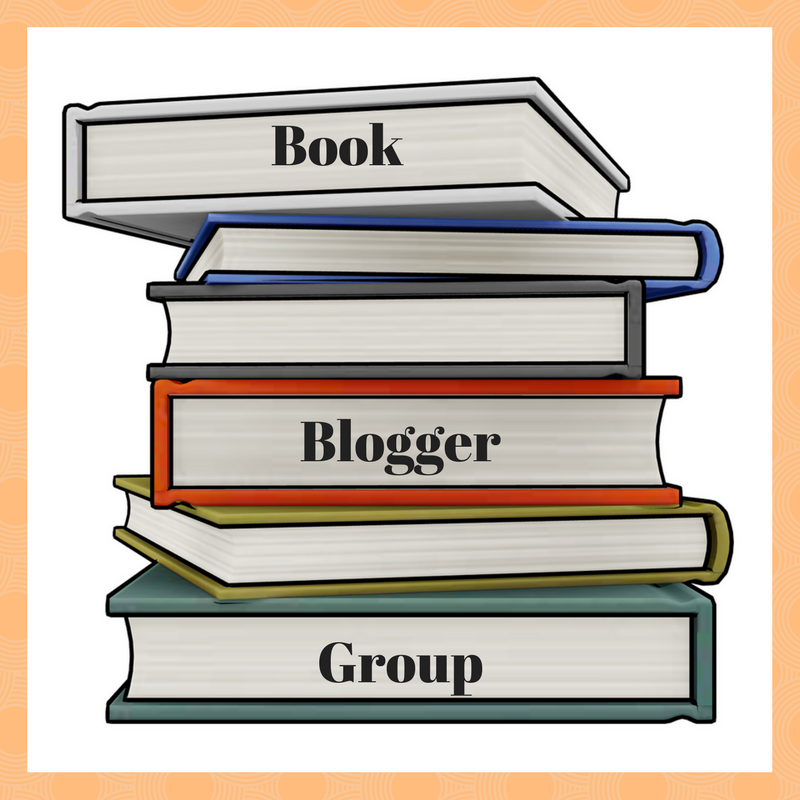 Thanks for linking up with TBB! I’m so excited for The Raven’s Tale! A Million Little Things is my fave TV show from the new fall lineup. I’m a few episodes behind, so I need to catch up! I totally forgot about Psych – that was a great show! My son’s favorite band is The Beatles and he plays them nonstop. He’s seen Paul McCartney but would have loved to see the whole band. Thanks so much for linking up with us today! My daughter loves Harry Potter too and she rereads the books. I still need to watch a Million Little Things. I only just heard of “The Boy Who Steals Houses” today on another Top Ten Tuesday post, but now I can’t wait to read it. It sounds amazing. I didn’t realize that the guy from Psych was in a new show. I’ll have to check that out! As far as your TTT list goes, I’m also excited for Cait’s book! I definitely want to check out The Huntress! I loved Kate Quinn’s other novel; my book club and I read it recently. Unfortunately it didn’t make my list! Top 10 was NOT enough! LOVE the fact you obviously are so book literate and rate HP as some of your top books – they are magic, aren’t they? I haven’t read them but could read C.S. Lewis again and again. Look forward to seeing you report on your new vinyl! Joanne. I love your anticipated books list! I can’t wait for The Huntress! I keep hearing about You Asked for Perfect. I SO have to read A Thousand Perfect Notes, and then maybe The Boy Who Steals Houses. 1. James Roday and Psych are a YES from me. I am all over Roday’s new show too. 2. I need to read more Ashley Herring Blake books, because Ivy Aberdeen was amazing. Sam@wlabb recently posted: Top Ten Tuesday: The Anticipation is Killing Me! I could rewatch Psych episodes over and over. It’s one of the shows that makes me inexplicably happy. My mom and sister keep telling me I need to watch Psych so I’m glad to hear it’s a good one. The Huntress made my TTT list this week too. I loved her last book so much so I can’t wait for the new one. A million little things! I got sidetracked by a book I just started, The hate U give. But Im going to have to catch up on the rest of that show because I LOVE IT!. If I could see one person in concert, I would have to say Eddie Vedder. If Jack Johnson happened to show up Id be totally ok with that too 🙂 . Im going to have to take a look at those books and add a few to my list! Thanks for sharing!! I just put A Million Little Things on my hulu list to watch. I’ve definitely read the first four Harry Potters but I’m not sure I ever actually finished the series? I should probably get around to doing that, and maybe even start again from the beginning! I still need to read Harry Potter for the first time. Perks of Being a Wallflower too. I am not much of a binge watcher either but I do agree that Psych is good. I see some books on your top 10 that are on my tbr list. I hope you enjoy them all. Yes to the Beatles, I wish that could happen! Life as a House was such a great movie, and I’m looking forward to seeing Aladdin too. That was one of my favorites!! None of the books you’re awaiting are on my list, but The Boy Who Steals Houses is one I have heard about and thought it sounded great. Hope you get to read all these. Thanks for visiting The Book Connection this week. I like A Million Little Things, too. Can’t figure out Ashley’s angle yet. Did they move it to a different night? Couldn’t find it last night. Really so many things in common!! I loved psych…still watch reruns on ION. Am so glad to have found your blog!! I am chuckling about NSync hahah. I am also quite excited for The Raven’s Tale and The Boy Who Steals Houses! I reread the whole Harry Potter series every few years. I never get sick of them. I love the movies, too. I still use an ipod too! I just love it so much and it’s in my vehicle and plays through the speakers. When my littles want songs like from the movie Moana then I’ll play it through my phone but I much prefer my ipod in my vehicle. My husband told me I’m probably the last person who loves her ipod that much but yay for finding another!